Here’s an easy way to connect a wider range of peripherals to your laptop. 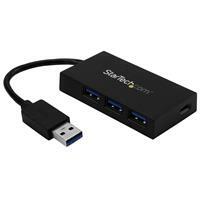 This TAA compliant 4-port USB 3.0 hub turns your laptop’s USB-A port into three USB-A ports (5Gbps), and one USB-C™ port. 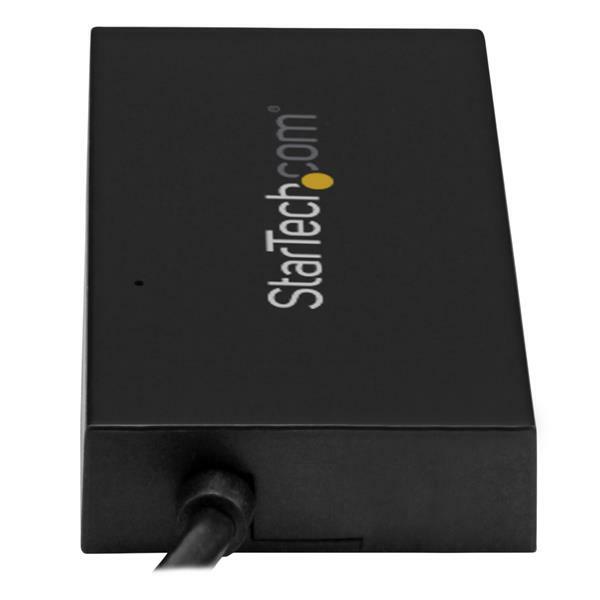 The hub is USB powered, so you can connect devices virtually anywhere you work or go. 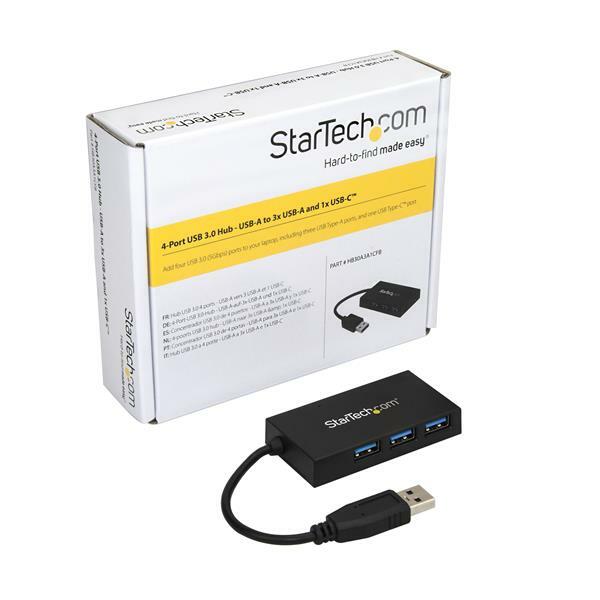 Now, you can use your laptop’s traditional USB Type-A port to expand your connectivity, and connect your newer USB Type-C™ devices to your laptop. This USB 3.0 hub lets you expand your USB connection options using the USB-A port on your computer. 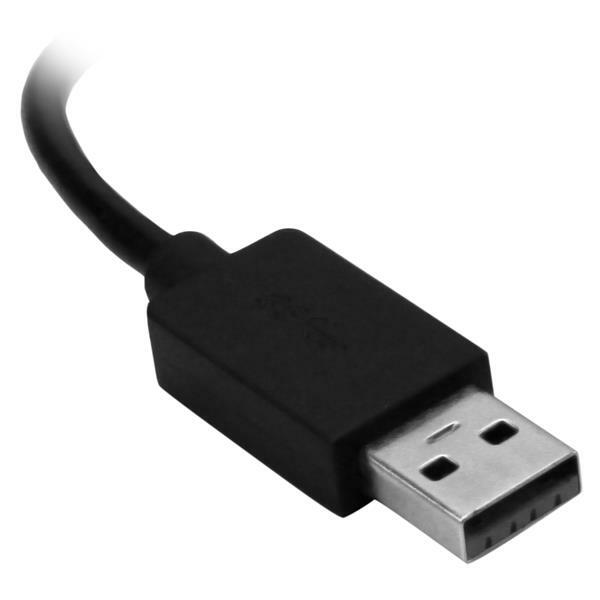 (USB 3.0 is also known as USB 3.1 Gen 1.) 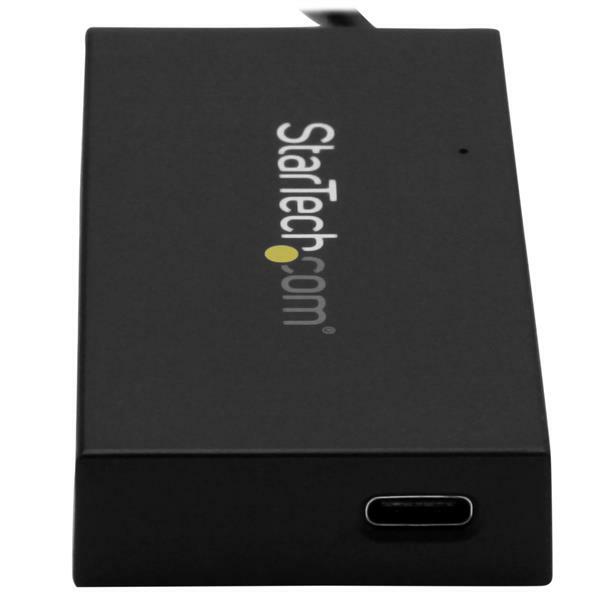 It offers three USB-A ports and one USB-C port, so you can connect traditional USB devices now, while still being able to connect USB Type-C devices in the future. 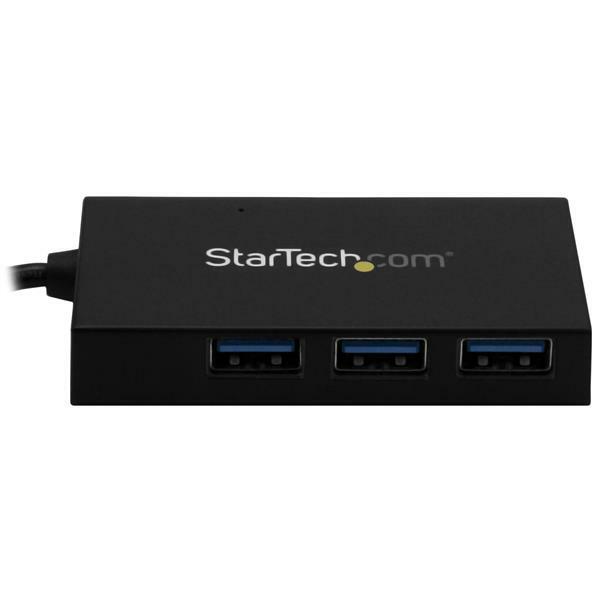 The 4-port USB 3.0 hub can help if you need a way to connect your newer USB-C peripherals to your existing laptop. Now you can access your USB-C device while avoiding the cost of purchasing a newer laptop that features a USB Type-C port. The bus-powered hub installs quickly with no additional drivers or software required, and it’s compatible with virtually all operating systems.